Do you sense in your heart that God is calling you to something big, but currently feel stuck? Have you ever had an idea that you've wanted to see accomplished, but had no idea where the resources would come from? As the senior pastor of New Hope Leeward, located on the island of O'ahu in Hawaii, Mike discovered how to overcome these feelings so that God could work through him to plant a church that has grown to over 5,000 weekly attendees. Through it all, Mike has maintained that the key to experiencing the abundant and ginormous plans God has for our lives, our churches, and our businesses, is a simple heart to "Follow the Fire" of God! Mike shares ten audacious leadership lessons he learned along the way as he pastored one of the fastest growing churches in the nation. These lessons are not just for church leaders. These lessons are for anyone who is eager to experience what God has planned for them, and are ready to passionately pursue His pillar of fire. 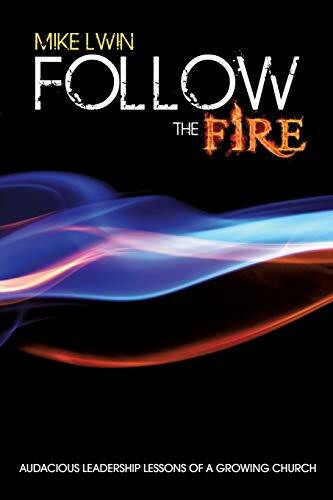 If you are ready to allow the Lord to release your potential and work through you in a significant way, then read this book and prepare to learn what it means to "Follow the Fire!" "I hope that everyone who desires to experience God in a more powerful and intimate way will read it with an open heart to be inspired, challenged, and motivated to live and lead differently." --Dr. Wayne Cordeiro, Senior Pastor and author of The Divine Mentor Author Bio: MIKE LWIN is the founder and senior pastor of New Hope Leeward on O'ahu in Hawaii, named by Outreach Magazine as one of the fastest growing churches in the nation. He and his wife, Lynnette, have three children and live in Ewa Beach, Hawaii.